Ready to buy a bicycle, or sell your old one? There are plenty of great resources here to help you out. The University of Montana offers an 18-month Interest Free Bike Loan of up to $1000. See the tab to the left "Bike Shops & Maintenance" for suggestions of local bike shops where you can buy new. Want a bicycle but can't afford one? Check out the Build A Bike Program at the Free Cycles Community Bike Shop. After taking the one hour Bike Well class there, and volunteering four hours of your time, the folks at Free Cycles will teach you everything you need to know in order to build your own bike for free, and offer all the parts and assistance you need along the way. The Bike Walk Alliance for Missoula (BWAM) also hosts an annual Bike Swap (usually in April or May) in which people can buy and sell bikes in a safe and organized space. All bikes that are abandoned or recovered in the City of Missoula are sold at Bike Auctions approximately three or four times a year. Sign up to receive updates about when the next auction will be held, or contact the City Bicycle/Pedestrian Office. The Bicycle Blue Book and Know Your Bike are both websites that will tell you approximately how much your bike is worth - based on the make, model, and year. Use it to ensure a fair asking price, or look up a bike you're thinking about purchasing to know you're not getting an unfair deal. 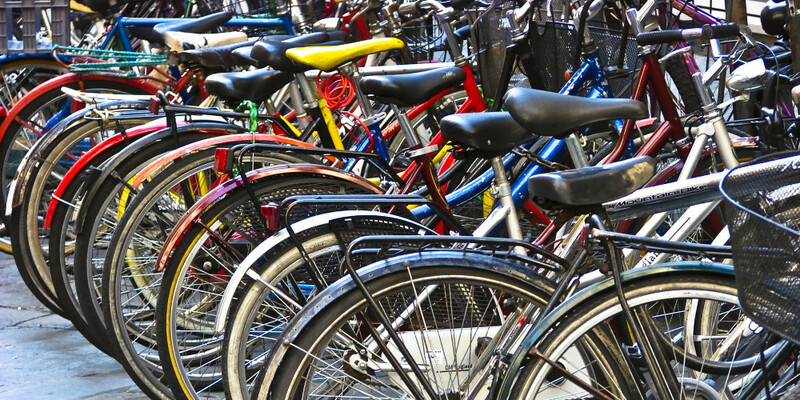 Craigslist is a common outlet for buying and selling used bicycles. Always be cautious when meeting people you don't know. Ask to meet in a public place or take a friend with you to look at a potential purchase. Never buy a bicycle you suspect was stolen. If you're selling a bicycle that you have registered with the City of Missoula, it is important to transfer your registration to the new owner - that way, if they lose the bike, it won't be returned to you! And don't forget to register the new bike you replace it with.